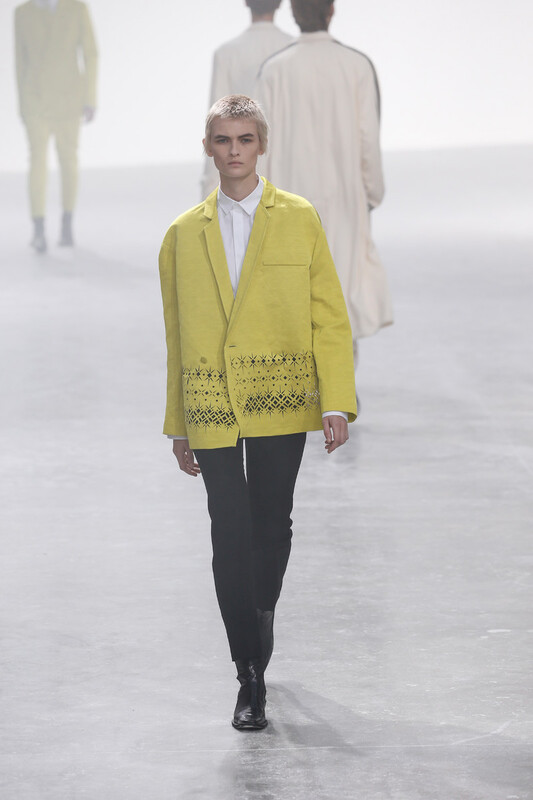 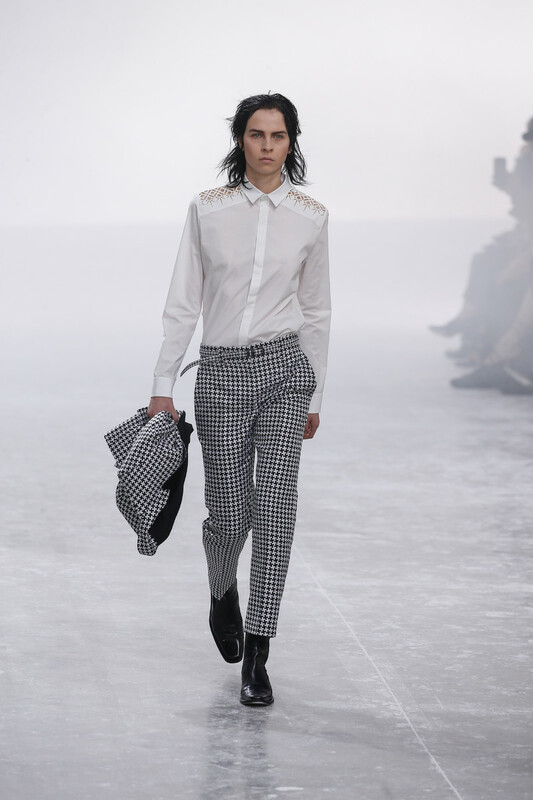 Unisex or should we say genderless fashion is probably one of the biggest overall trends this season. 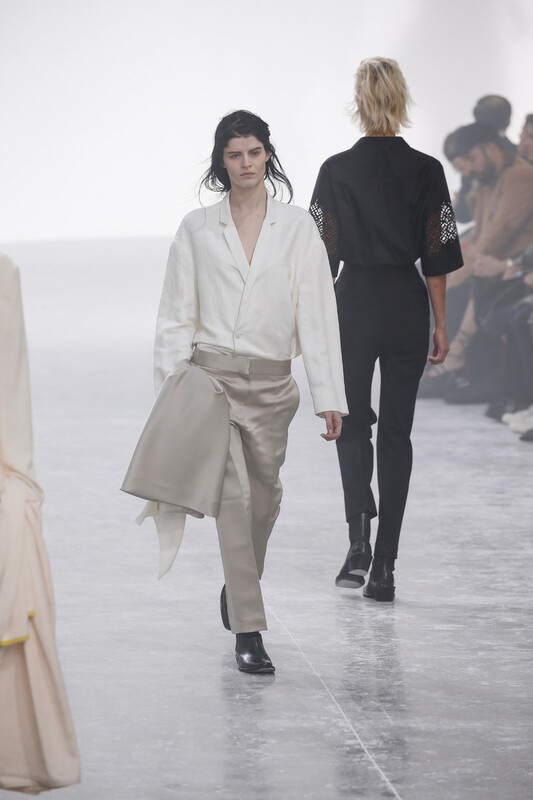 And it’s not just a trend like you’d want to wear ruffles or socks in sandals, it’s more like a movement, a new way of dressing. 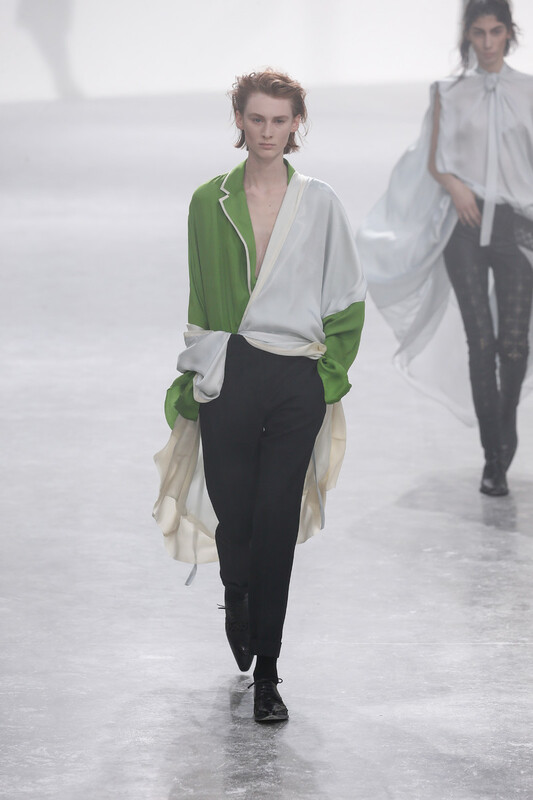 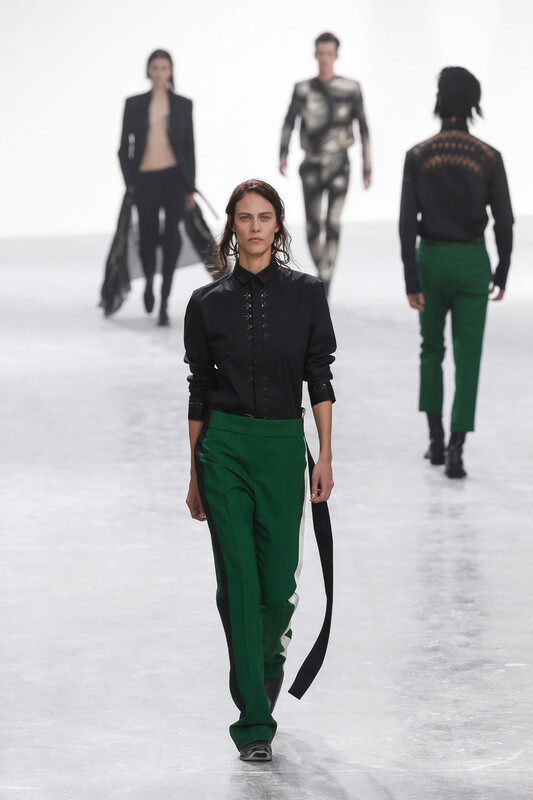 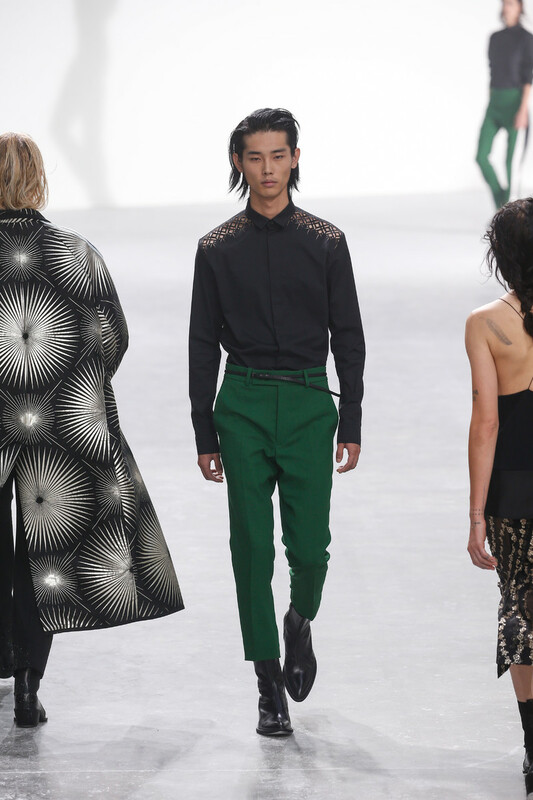 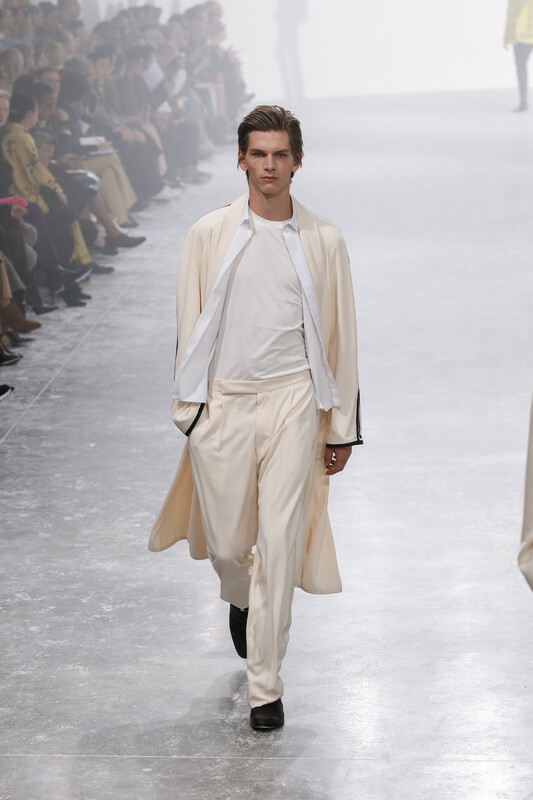 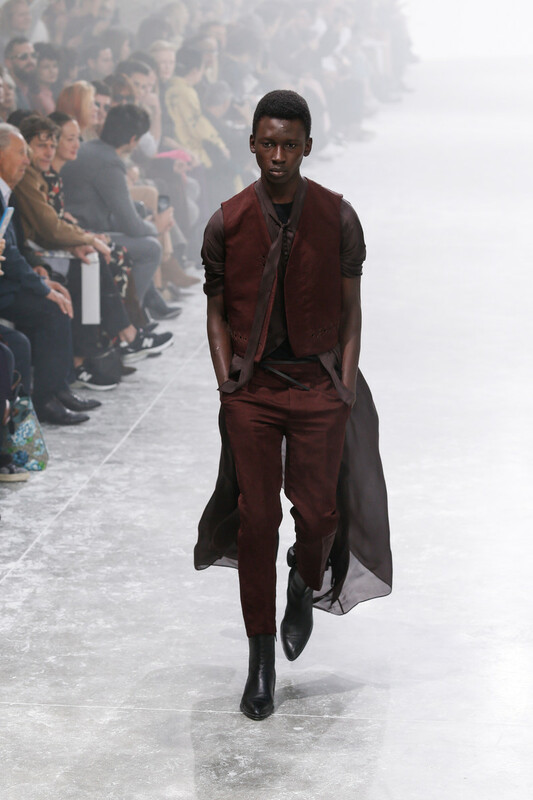 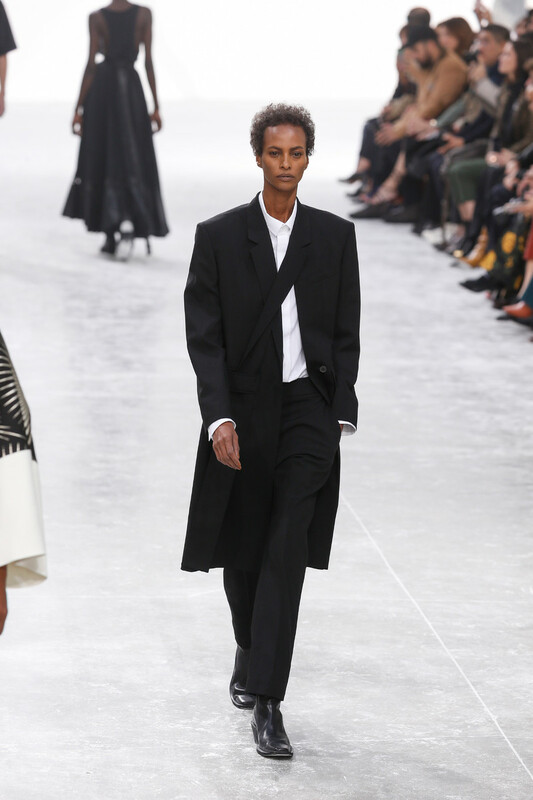 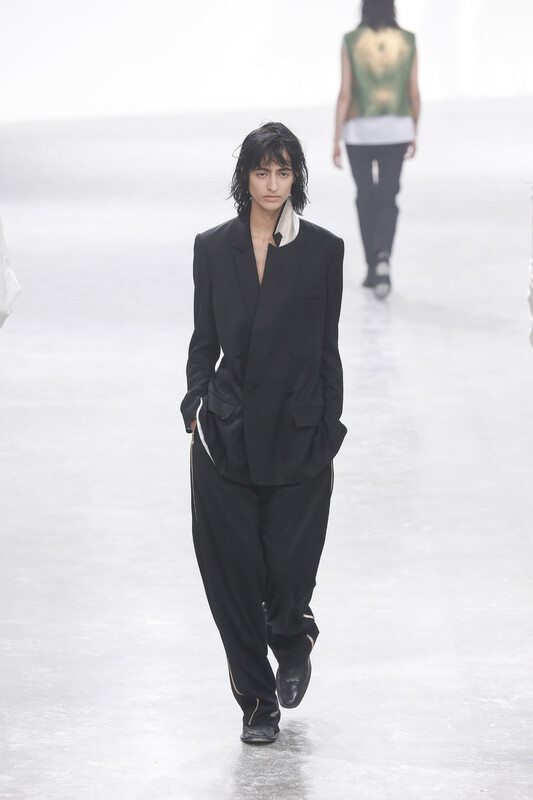 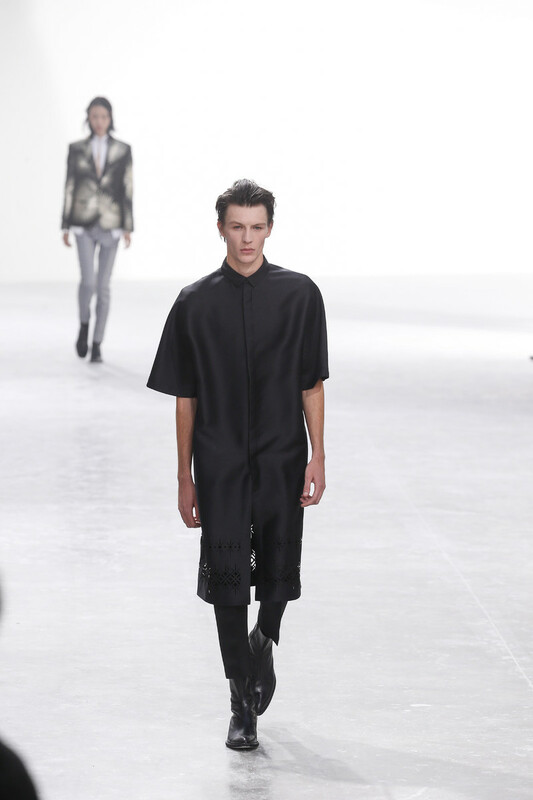 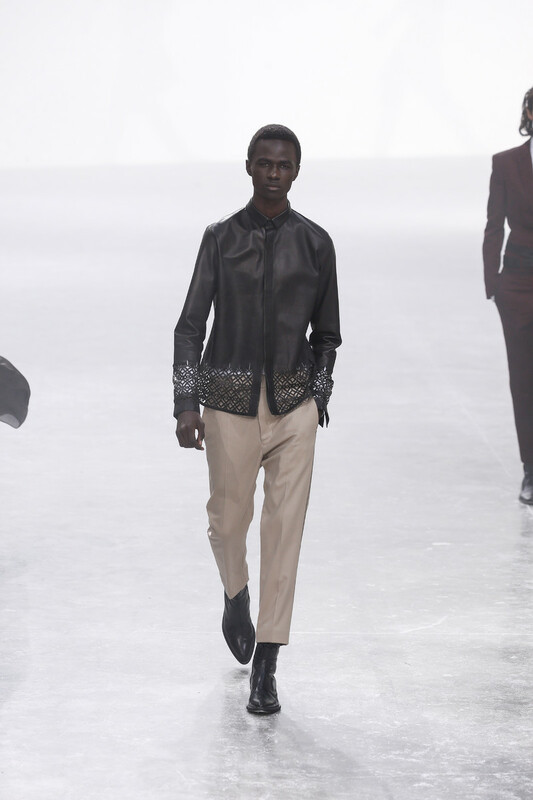 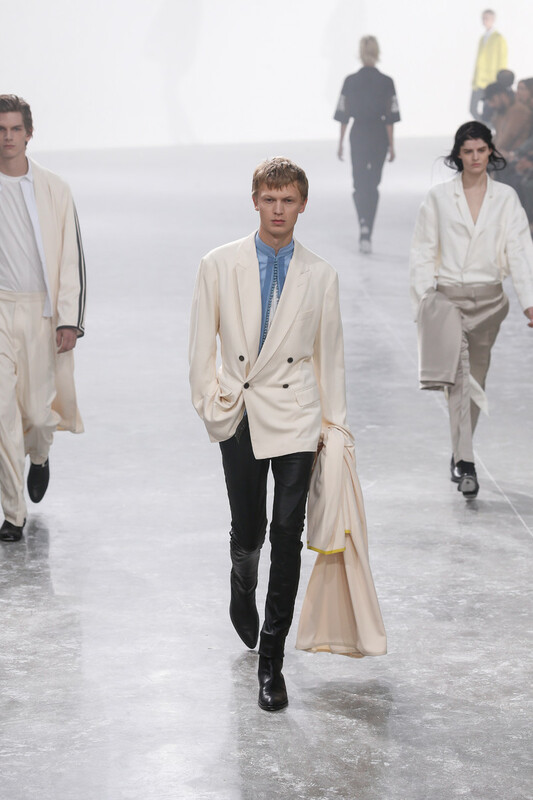 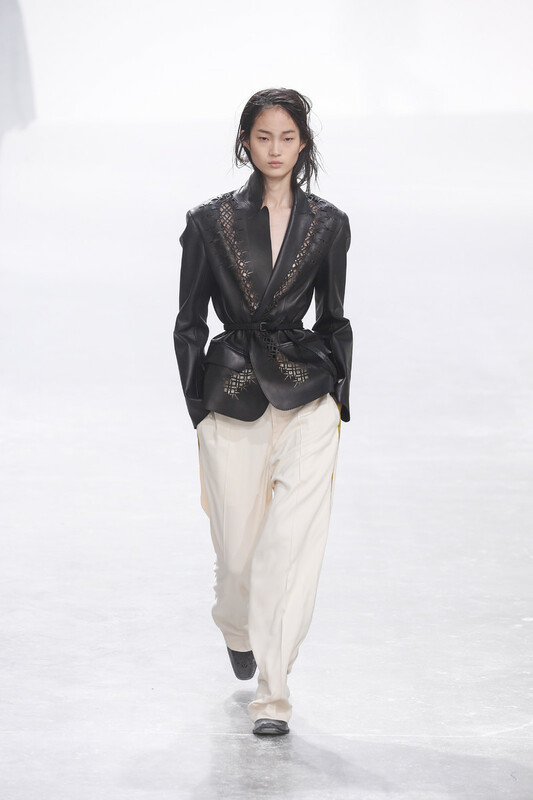 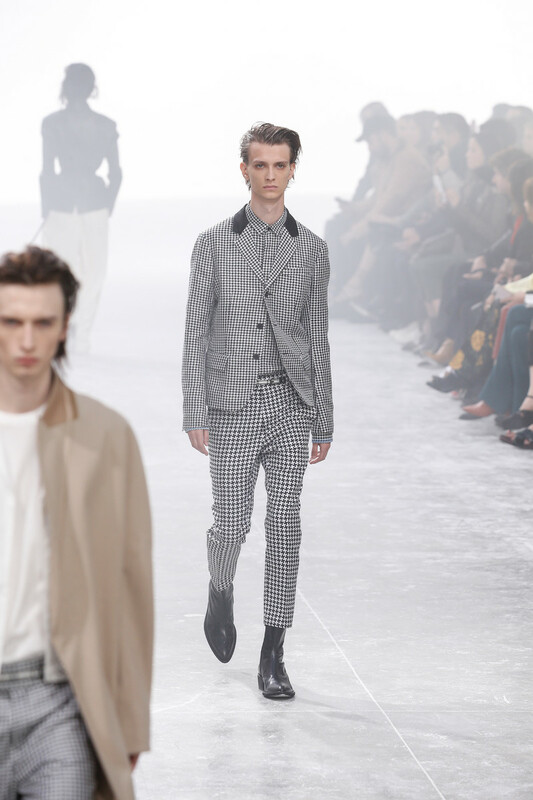 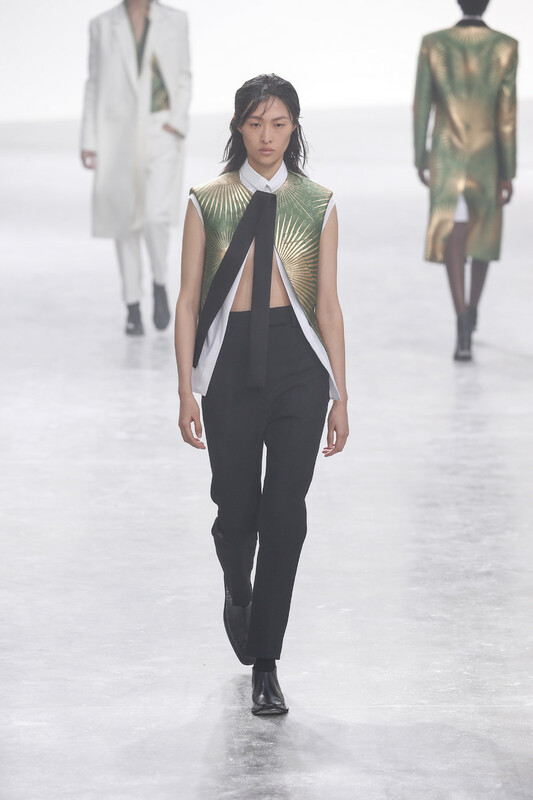 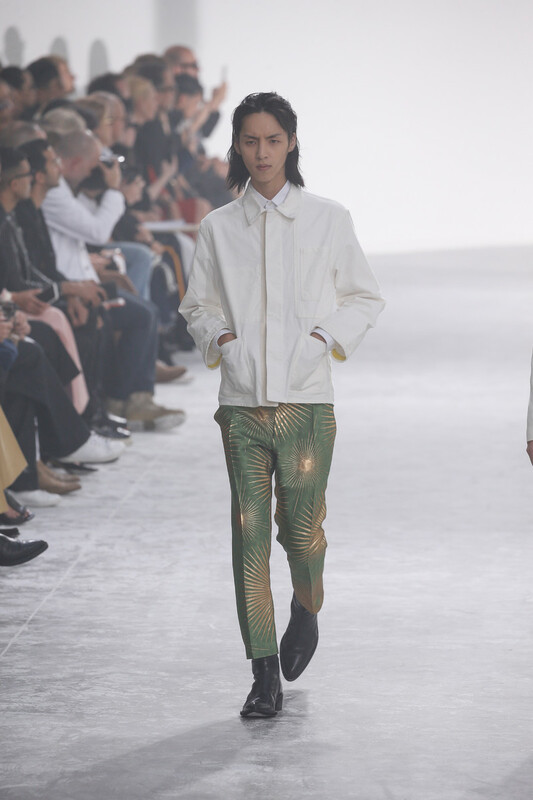 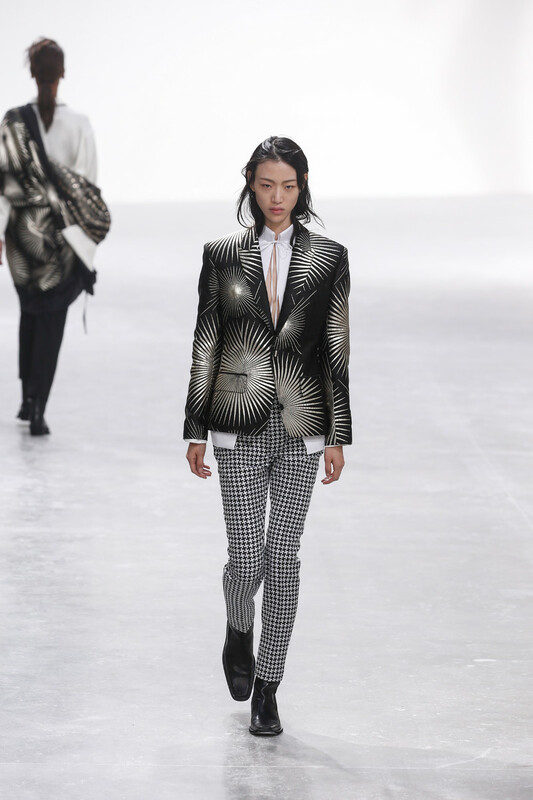 Haider Ackermann too sent out a bunch of looks that could be worn by the guys and the girls. 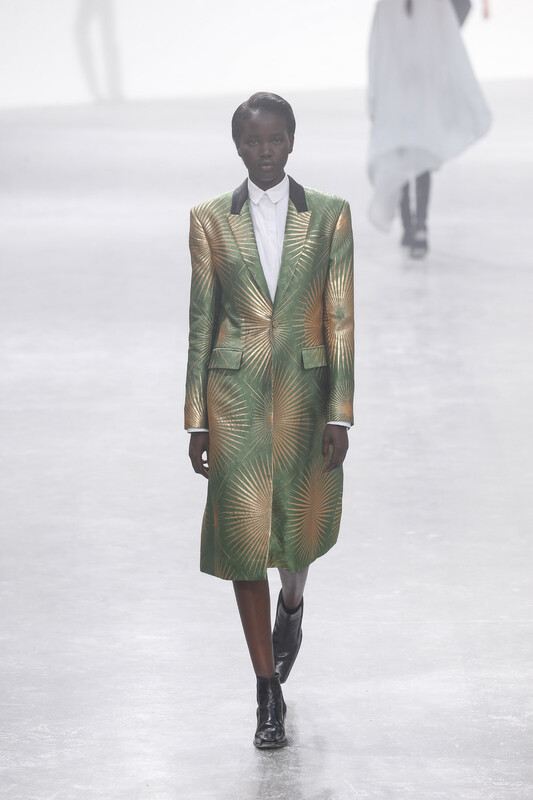 It was actually just the one dress, worn by Fatou Jobe, that was truly a womenswear look. 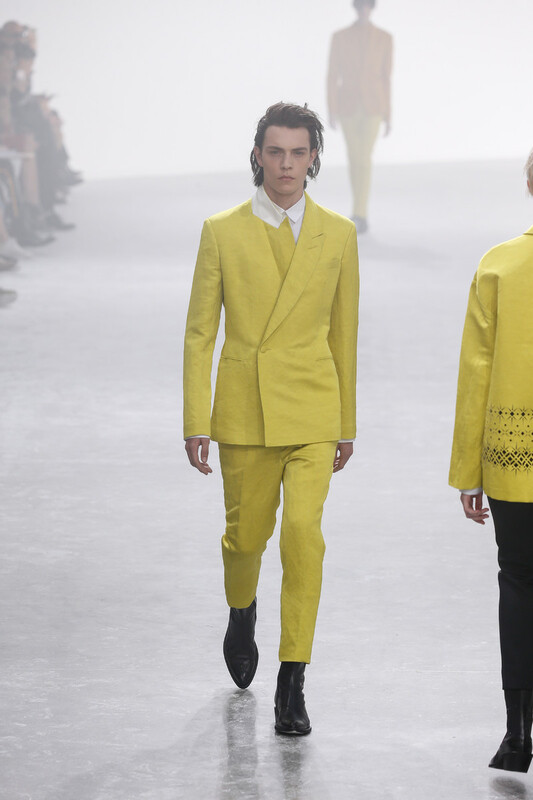 All the other designs could apply to anyone who might want to pick up on a certain style. 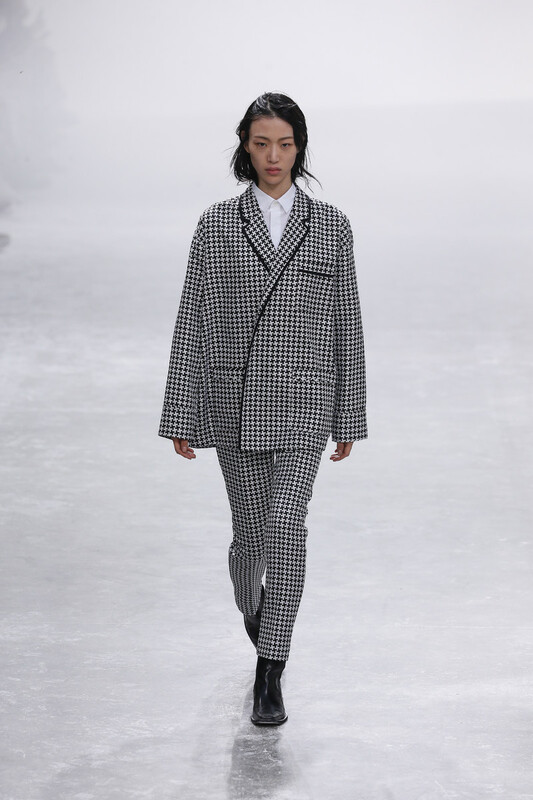 Like the houndstooth trousers, the roomy blouses, the colored slim fit suits, the long printed jackets, the pajama like tops and robes. 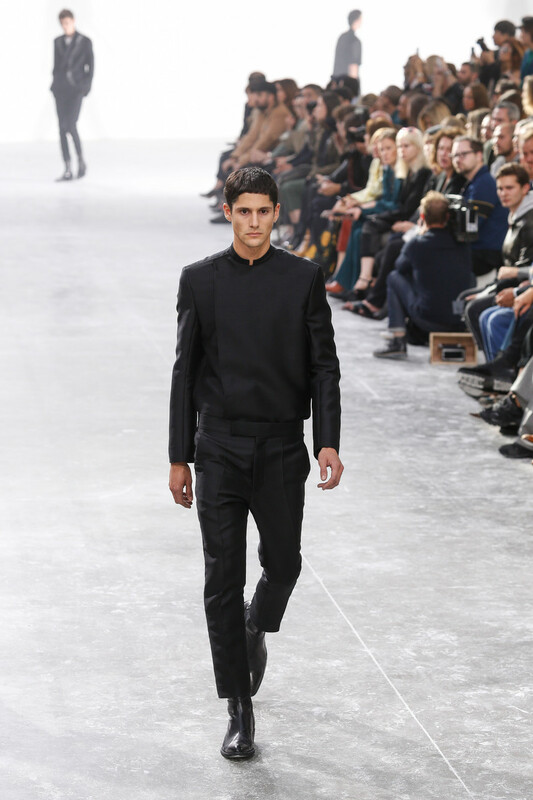 Black boots for the fresh faced guys and girls and no fuss in the shape of make-up, jewelry and accessories. 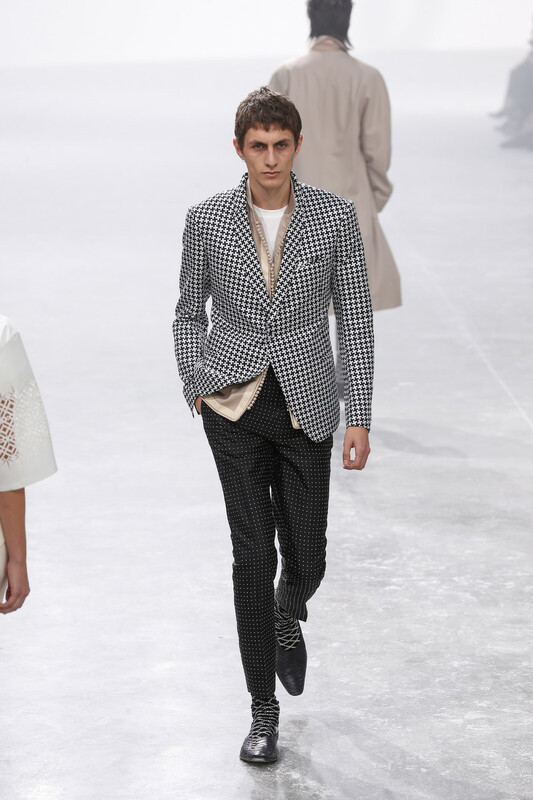 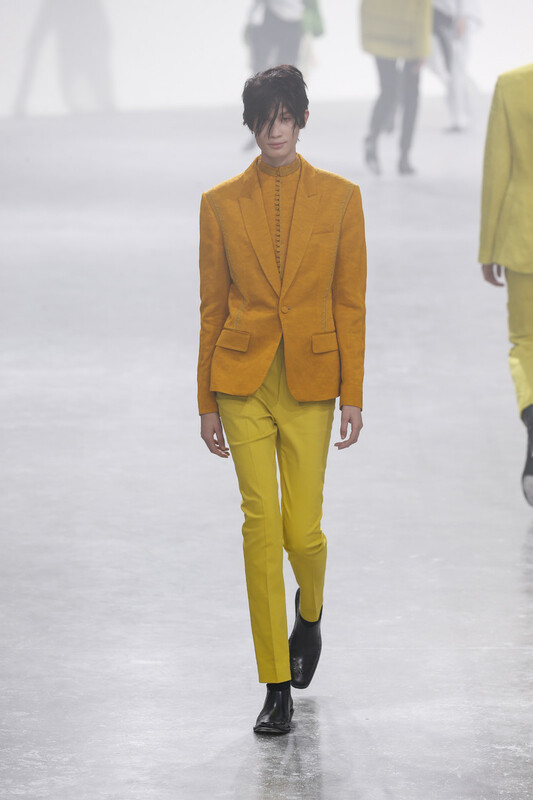 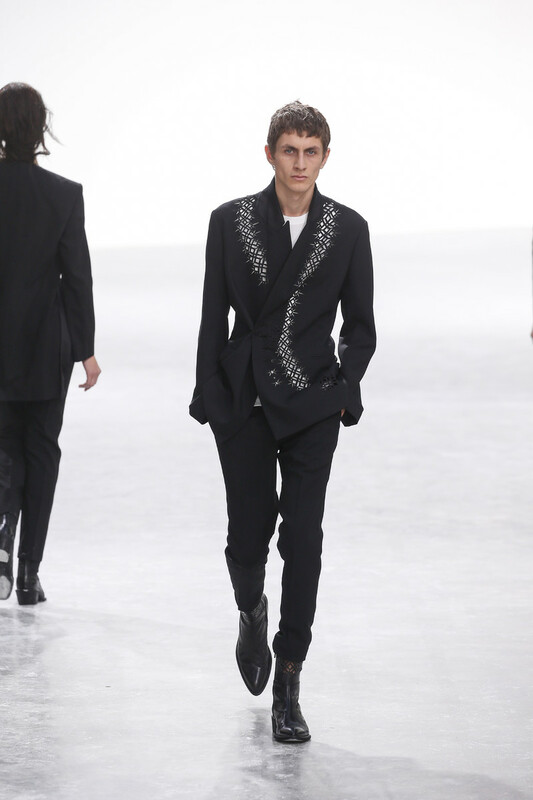 Just the full focus on perfectly tailored clothes as part of a collection that felt fresh and casual.